Under the leadership of Dr. Steven C. Poe, the original holder of the Johnie Christian Family Peace Professorship, the Peace Studies Minor and Peace Studies Certificate Program were established at the University of North Texas. Even though at the time the Peace Studies program was new to North Texas, undergraduate programs in Peace Studies have been around the globe since the conclusion of World War II. 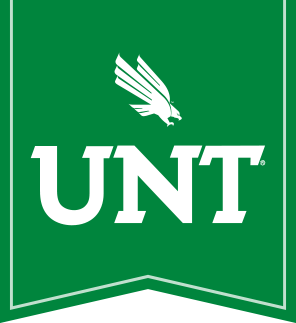 The University of North Texas now joins more than 200 colleges and universities nationwide that offer a program in Peace Studies; however, the Peace Studies Program at UNT is unique. The program has now grown into a popular area of studies in the realm of political science, and the growth of the program's enrollment is also enhanced by the generous support of several patrons who endowed four undergraduate scholarship opportunities in Peace Studies. In 2003, the Peace Studies Program gained inclusion as one of six concentrations from which students in UNTs International Studies Major can choose as their primary area of emphasis; in fact, students can now earn the equivalent of a major in Peace Studies. The International Studies Major, established in 1999, is one of the fastest growing degree programs at UNT with over 300 undergraduate students currently seeking a bachelor's degree. Graduates from UNT's Peace Studies program pursue careers in foreign service, international and human rights law, international business, the Peace Corps, and in private organizations promoting Third World development, human rights, environmental protection, and conflict resolution. Most have also gone to graduate school or law school.